To celebrate this year (2018 ) there will be 4 fee-free admission days for Yosemite National Park. 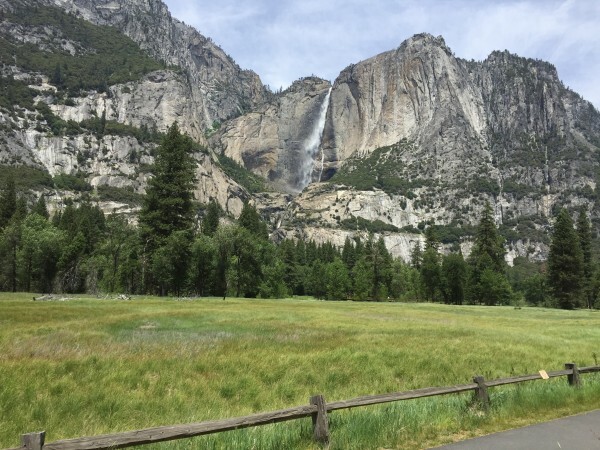 Plan ahead and enjoy Yosemite National Park - one of the most amazing Parks in the world! "National parks are America’s best idea, and there are more than 400 parks available to everyone, every day. The fee-free days provide a great opportunity to visit a new place or an old favorite, especially one of the national parks that normally charge an entrance fee. The others are free all the time. The entrance fee waiver for fee-free days does not cover amenity or user fees for activities such as camping, boat launches, transportation, or special tours. The annual $80 America the Beautiful National Parks and Federal Recreational Lands Pass allows unlimited entrance to more than 2,000 federal recreation areas, including all national parks that normally charge an entrance fee. There are also free or discounted passes available for senior citizens, current members of the military, families of fourth-grade students, and disabled citizens. Learn more about the variety of passes offered by the America the Beautiful National Parks and Federal Recreational Lands Pass series." 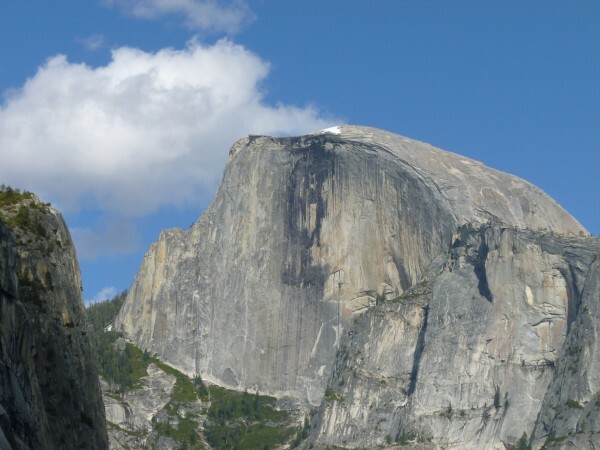 Have you ever wanted to climb Half Dome to the top to see the grand view on top of the dome? But, the Half Dome hike is hard, long and the cable climb is challenging and even dangerous. Well, there is another hike that is only 2.2 miles and takes about an hour or so. The views are also amazing. The hike I am recommending is the Sentinel Dome hike. To get to the parking lot to begin the hike - just follow the road to Glacier Point. You will come to this parking lot BEFORE you get to Glacier Point. Watch for it. There are bathrooms in the parking lot also. You need to check road conditions to make sure the Glacier Road is open. The trail to Sentinel Dome is a very easy hike. I would say a 3 out of 10 for difficulty. The scenery of the hike is lovely and very enjoyable. But the scenery on top of Sentinel Dome is what you are going for and will want to stay on the dome for a while. You are almost as high as Half Dome, and you are higher than El Capitan. The top of the dome is very large. It does get steep as you go to the outer edges of the dome. Children can easily make the hike, but you do need to watch them and keep them safe when you are exploring the dome. If you are wanting to experience Yosemite from a high dome...this is your hike. Pack a lunch and Sentinel Dome will give you a very pleasant afternoon. Maybe this will be your next day trip? If you are looking give yourself a challenge, while at the same time experience amazing views of Yosemite - this hike is for you. Yosemite falls has three tiers. Upper Falls at 1430 feet, middle falls at 675 feet and the lower falls at 320 feet. If you count the falls together, then Yosemite Falls is the largest in North America. Round trip the trail is 7 miles. That is not a lot of miles for a day hike, but you need to consider that the trail is uphill almost all the way. At the top, there is a level area and then coming back it is of course, all downhill. There are 60 switchbacks going up the trail. The trip took us right at 8 hours going up and back. The best way to do the hike is to park in the parking lot that is across from Camp 4 campground. We started at 9:00 a.m. and were able to find good parking. Your will see trailhead signs right at camp 4 to begin your hike. But the best part of the hike is the amazing views. All the way up you have different views of the valley and even Half Dome. At times on the hike you will be in the sun, so be sure to bring lots of water. (hat and sunscreen also) We brought 3 liters of water and that was just enough for the day. 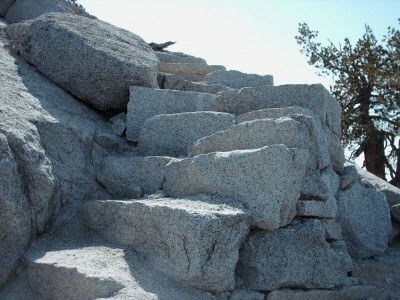 I do wish I would have brought hiking poles as the trial can be slippery due to the granite dust and small rocks. We hiked in June, and so the trail was busy with very friendly hikers. Also, if the wind is blowing just right you will get a cooling mist of water from the falls which in June was very welcome. I would say that we were in the sun about 60% of the time. Be sure to look for a rainbow in the waterfall - it is breath-taking. When you get to the top there is a viewing area with a railing. You can see down the falls and it is very dramatic. The best time of the year to hike would be May, June, and July to really enjoy all the water coming down the waterfall. Of course, the volume of water in the falls depends on the amount of snowpack in the upper mountains. Will you be sore for a day or two after the hike? YES. Is it worth it...and would I do it again...YES! I hope you get to enjoy your journey on the Upper Yosemite Falls trail hike! Hiking in Yosemite is an amazing experience. no matter if you choose to stay in the valley or head up into the high country, you will always be rewarded with wonderful views. "With walls of granite rock towering all around ~ the beauty is outstanding!" When you start any hike in Yosemite be sure to carry lots of water and check with the ranger station for weather conditions. Here are 3 trail suggestions for you to try. This trail is 13 miles long and is one of the least traveled trails in Yosemite Valley. You begin this trail at either the Chapel or at Camp 4. If 13 miles is too long for you, cut across the bridge at El Capitan and it will make the trail 6.5 miles long. On this trail, you will become a photography expert! It is hard to take a bad picture with some much natural beauty. While this trail is mostly paved, it does ascend 1400 feet in elevation. the round trip hike is only about 1.5 miles. You begin this hike at shuttle stop #16. 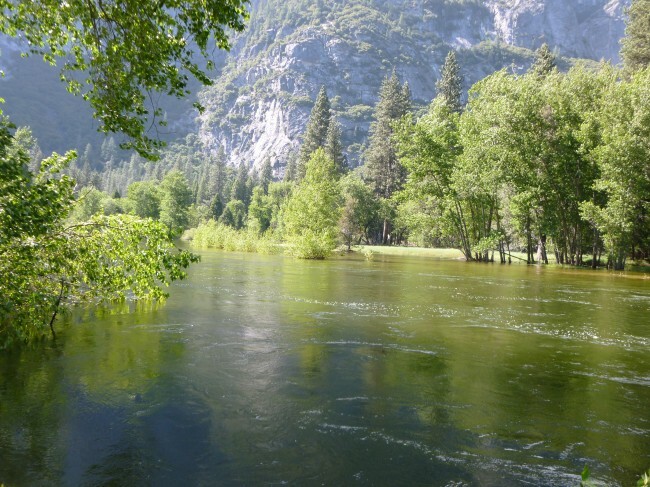 You will be hiking along the side of the Merced river. Again, on this hike you will become a expert at photography with the Merced river and the granite walls about you as your subject. This trail will be much busier as it is the most popular trail in Yosemite. You will have company around you especially during the summer months. As you make your destination of the Vernal Falls footbridge you will have the full view of Vernal Falls. A granite cliff of over 300 feet where the Merced river rushes down to the valley. If you continue up the stone cut stairs yo can reach the top of the waterfall. Depending on the amount of water coming down the falls, and the wind, the stairs can be wet…and the hikers on the stairs! This trail is the oldest hiking trails in the valley which dates back to 1870. it is on the top side of moderate hikes, (you should have a lot of experience) so be prepared for elevation gain and switchbacks. It is located on the north side of the valley and gets more sun exposure. If you continue on the trail you will see a wonderful view of Upper Yosemite Falls and sometimes a colorful rainbow. But no matter how far you hike you will enjoy yourself because you are in one of the most beautiful places on earth! The tradition of camping has a lot of benefits for you and your family to experience. Camping in Yosemite National Park is an experience you want to have. 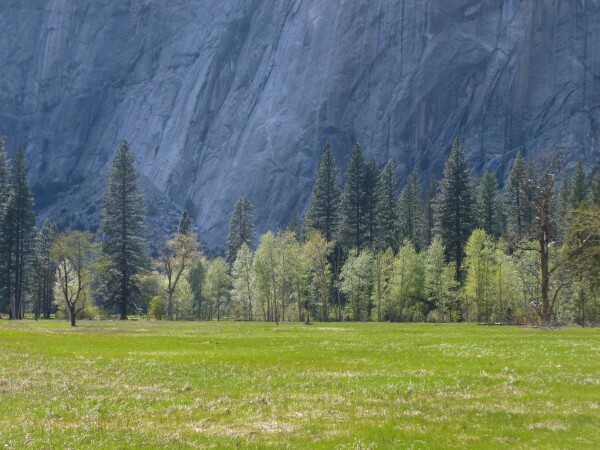 Here are some tips on how to get a campground in Yosemite. Yosemite National park has 13 very popular campgrounds. 7 of these campgrounds are on the reservation system. Campgrounds are on the reservation system. There are just a few campgrounds that do not require a reservation. If you are hoping to get into one of these, just plan to be at the campground early. Here is a list of campgrounds that do not require a reservation. Little Yosemite Valley and the High Sierra camps such as Glen Aulin, May Lake, Sunrise, Merced Lake and Vogelsang are not part of the campground reservation system. You are required to get a wilderness permit for backcountry campgrounds. Additionally you can camp at High Sierra Camps and the Housekeeping Camp which are lodging camps managed by Delaware North at Yosemite. If you can bring your bikes, you will enjoy many miles of biking trails. If you cannot bring your bikes you can also rent them in the Park for a fee. If are wanting to do a lot of hiking in the Park, camping will help you get an early start. If you plan to do the Half Dome hike, you will want to start early for sure…and also remember, you also need a permit to climb Half Dome. Camping lets you experience the smells and freshness of the great outdoors. What can be better than cooking out and enjoying camp cooked food! Be sure to use the food lockers to keep bears out of your food, and NEVER leave any food in your car or around your camp. Yosemite Campgrounds do have water, bathrooms, showers and trash containers. Enjoy your camping trip in the most beautiful place on earth! A non-profit organization that supports Yosemite national park and the visitors who come to the park. If you are new to the Conservancy, I encourage you to check out all the opportunities. 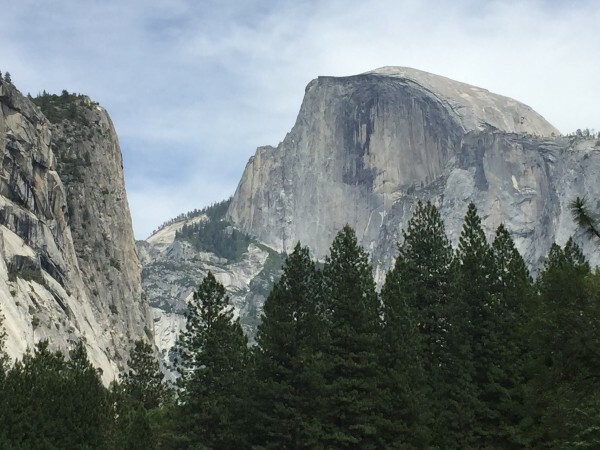 If you are looking for a special experience while you are in Yosemite, consider some of the hikes, trips and camping that they offer. Yosemite Fall visitor restoration to transform the trails and visitor area leading to Lower Yosemite Fall. Reintroduce the Sierra Nevada bighorn sheep back into their natural habitat. The Conservancy also promotes services to help connect people to Yosemite and enhance their visit. 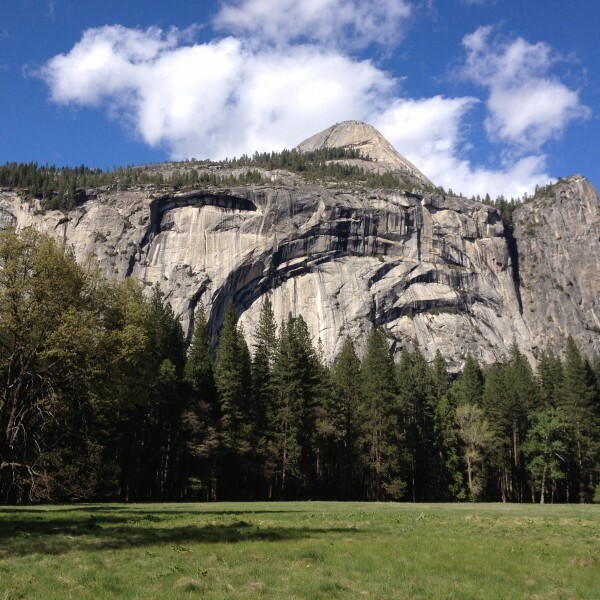 Check out the Conservancy website to find the latest activites for Yosemite. You will find something for everyone. You can support the Conservancy by visiting the bookstore online, or the in-park bookstores for the many books or DVDs which many are published by the Conservancy and all the profits go to support the many projects in Yosemite. Love Yosemite? Show the world! Remember to visit the park in the summer for the best Yosemite stargazing experience. Dress warm when you go as the nights can get chilly. (especially in Tuolumne Meadows). Also don't plan your stargazing when the moon is full. But the best time of the year to see the stars is June - September. Anywhere you have an open view of the sky! There are stargazing parties provided by the National Park and also many Astronomy clubs. Some folks take stargazing very seriously and have high tech expensive equipment. Even if you don't have any special equipment, what you can see with just your eyes will blow you away! Before you click away from this page, be sure to watch the video below about the stars above Yosemite. Watch it in full screen and be prepared to be amazed and inspired. It was professionally produced in HD by The Yosemite National Park for your pleasure. You will be blessed. June 30 1864 amid the Civil War… The Yosemite Grant Act. 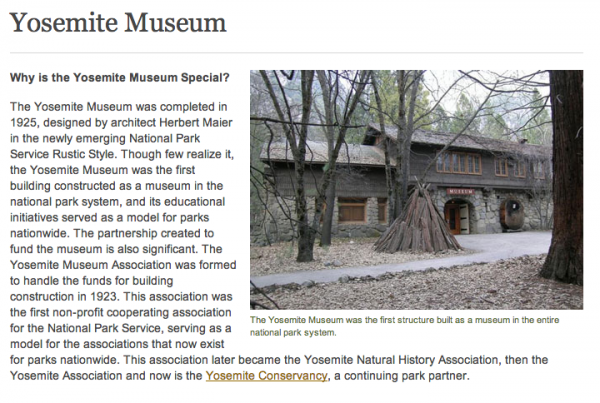 Learn what it is by Visiting the Yosemite Museum in 2014. June 30 1864 amid the Civil War… The Yosemite Grant Act. What is the Grant act? This hike is not for the faint of heart. The hike will take all day and it is important that you start early in the morning. This hike will take every ounce of energy you may have. I suggest that you test your hiking skills first. Make a couple of moderate hikes to make sure you are feeling strong enough to make it all the way. One good practice hike would be to start on the mist trail and go up to Vernal falls and then Nevada Falls. This is the same trail you will take when you do go all the way to Half Dome. 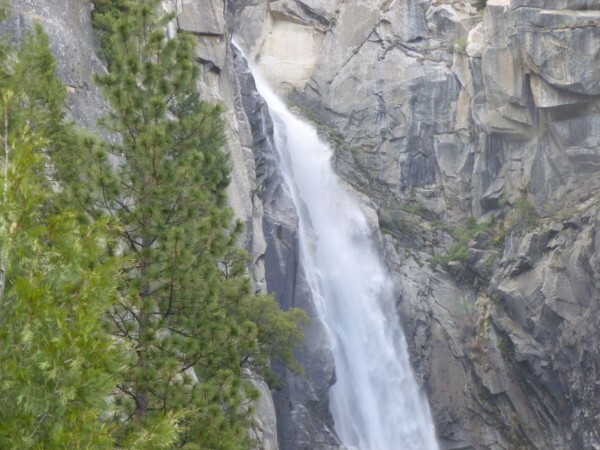 The Vernal falls and Nevada falls trail is a steep hike and you are always climbing in altitude. This hike makes for a nice day hike and it will tell you if your are ready for Half Dome. 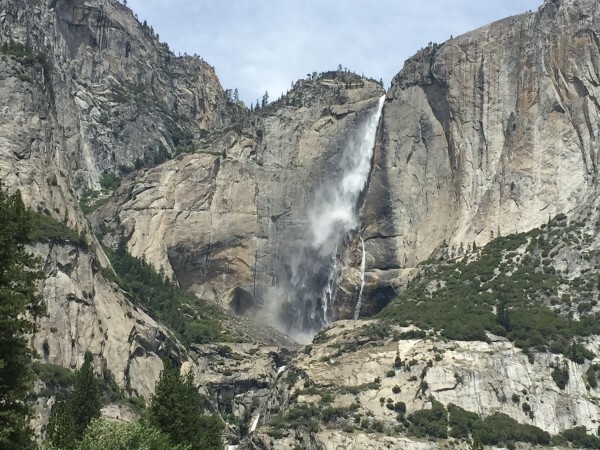 If you can make the Vernal falls and Nevada Falls hike...maybe a couple of times ~ then you might be able to make it all the way to the top of Half Dome. When you make it to the top of Nevada Falls, you are not even half way to Half Dome. So remember…practice make perfect! Shoes. You will need good hiking shoes that offer protection and strength to your feet and ankles. Your shoes will get wet, and you want good quality shoes and socks. Water. You need to pack at least one gallon to make it all the way. dehydration and exhaustion ave very common on the trail. Hat and sun screen. There are times you will be in the shade, but most of the time you are in the direct sun. Snacks and food. You will burn a lot of calories on this hike. Bring dense high quality snacks that will give you plenty of calories. Cell phone. Yes believe it or not, there are places where you will get service, and you may need to call for help if you get injured. Travel with a buddy. Two are better than one. Gloves. Bring gloves to cover your hands when you use the cable. The cable is steel and has lots of “steel splinters”. You need gloves...don't forget them! Carabiner to connect to the cable. As a safety precaution you can clip to the cable as you go up and down the cable. Flashlight. The hike may take longer than you planned and you might end up on the trail in the dark at night. Camera. You will want to take A LOT of pictures! The hike takes all day. If this is your first time on the hike plan on 10-12 hours. In a word. Yes. Truly an amazing and wonderful experience. But only if you are physically and mentally prepared to meet the challenge. It truly is an experience of a life time. The feeling of accomplishment is very real and you will be very satisfied. Yosemite really is one of the most beautiful places on the earth! Yosemite Hiking trail tips. Three easy trails for a day hike. To enjoy the beauty of Yosemite, you don’t need to be climbing the Half Dome cable or backpacking in the high country. There are very easy hikes right in the valley that will provide you with scenery to delight your eyes. And always when you go for any kind of hike in Yosemite be sure you have plenty of water, and that you are wearing comfortable shoes. This hike is very easy and short as it is only about ½ mile from the parking area. But just because it is a short hike it does not mean it lacks any beauty. The primary source of water for the falls is Ostrander Lake which is over 9 miles away. Bridalveil is 617 feet, and the water flows all year round. From warm to cold and misty! As you start out it may be sunny and warm by your car, but as you make your way up to the falls you will begin to feel a mist of water. The closer you get the thicker the mist becomes and you will get wet…sometimes very wet. It really is one of the most beautiful hikes in the Valley. If you have small children be sure to watch for slippery rocks and it is a good idea to wear a hat. The destination of this hike is Mirror Lake. The name describes just what it is. The beauty of the reflection of its granite surroundings is amazing. Mirror Lake is restful and peaceful. Mirror Lake is located on Tenaya Creek. As you hike you will see and hear Tenaya Creek which is very soothing. The lake is slowly shrinking due to sediment accumulation. This hike is very popular, so it can be very busy with campers and hikers. The walk is one mile long on a paved pathway. This hike is very easy and you will enjoy this one. Lower Yosemite Falls is an easy hike and a good starting point is Yosemite Lodge in Yosemite Valley. The hike is about 1 mile and takes only about 30 minutes. It is a very gentle walk, and wheelchair accessible. As you walk up to the Lower Yosemite Falls, you will have a grand view of Yosemite Falls. If you are visiting in the springtime, you will experience the sound of rushing water coming down the mighty Yosemite Falls. Yosemite Falls is the highest waterfall in North America. From the top of Yosemite Falls to the base of the lower falls is over 2,400 feet. This makes Yosemite Falls in the top ten of all waterfalls in the world. Spring is my favorite season of the year to hike in Yosemite and to see and hear all the waterfalls. But you will enjoy hiking any time of the year because Yosemite is one of the most beautiful places on earth. Yosemite is one of the most beautiful places in the world. But it is also one of the most dangerous with the flowing streams, waterfalls and river. Every year there are reported deaths due to mistakes by unexperienced and experienced hikers in Yosemite. The men in this video considered themselves experienced hikers. They said they had some pretty intense training in the past. "We thought the water was calm and we went in to cool off because it was hot. The rocks were really slick….and then….”I thought I heard him say, whoa buddy”…. Always be aware of the power of the cold, swift runoff water that fills the streams, rivers and waterfalls of Yosemite valley. Even if a creek appears to be empty, be careful as a summer thunder storm can re-fill a empty rock bed stream with a strong current. Beautiful but Deadly....watch this video about the power and danger of the streams, rivers and waterfalls in Yosemite. Every year someone is killed in water accidents. Don't let that someone be you or someone you love. While Yosemite National Park is one of the most beautiful places on earth, it is also very busy with lots of visitors. This does not take away from the beauty of the Yosemite valley, but it can make it challenging to get a picture without someone you don't know in the background. When you hike on a more advanced trail it cuts way down on the number of campers and hikers around you. Remember to pack lots of water, snacks and wear comfortable hiking shoes and clothes. If you are experienced at hiking and in decent physical condition you can experience the side of Yosemite that is less traveled. Here are 4 Yosemite hikes that will challenge and inspire you. On the way to Glacier Point, there is the very popular stopping place called Tunnel view. At the tunnel there is a parking lot where you can get out and take some amazing photos. It has a wonderful view and it is fun to take pictures. Panoramic pictures. The only draw back is that this stopping point usually is very busy, and it is not always easy to get a parking spot. This Hike is not necessarily a long hike, but it is continuously uphill. The views you will have of the valley and all the major granite mountains, as you go up the trail is just outstanding. Most important, the trail will take you away from the crowd at the tunnel view parking lot area. After you have taken some great photos at Tunnel view, and you are ready to do some hiking... look at the back of the parking lot and you will see a trail that goes up the side of the mountain. The hike is pretty much only uphill but it will take you away from the crowds and give you a some views that are amazing. You will see sign markers along the way and you can decide just how far you want to go. The advantage of this hike is the view that you will have without all the crowd at the Tunnel view parking area. Enjoy the view! This is a popular trail and it can be a little busy in the summer time. But once you get out on the trail you will have see fewer and fewer fellow hikers. The best way to experience this hike is to make it a one way hike. Oneway going downhill from the Glacier Point area. The trail is downhill most of the way except for after you cross Illilouette Creek at which point you will have some climbing in elevation. Or if you have a friend who can drop you off at Glacier Point instead of paying the bus fare. If you start at Glacier Point the elevation is 7,200 and the hike takes you down to the valley floor which is about 4,000 feet. The one way hike is 8.5 miles, mostly downhill. Panorama point vista is not marked on the trail, but if you can find it you will have a grand view of Half Dome, Basket Dome and Royal Arches. The trail meets up with the popular mist trail and the John Muir trail. If you are too tired or sore it would be best to take the John Muir trail down to the valley as it is not as steep as the Mist trial. Views here include Nevada Falls and Vernal Falls. The ending point of this trail would be the Vernal Fall footbridge which will then take you back to the valley floor. The mist trail is a challenging and beautiful hike that will take you on steep granite stairs and by some very famous waterfalls. This is the same trail you would take to make the Half Dome hike. To start this hike catch the free shuttle bus to the Happy Isle trailhead stop. Round trip to the top of Nevada falls is 7 miles. This trail can be busy as it is very popular. Once you get past Vernal Falls, the crowd begins to thin out. The best time to see the falls is in the spring when they are roaring. The elevation gains are to the top of Nevada falls is 1900 feet. The views along the way, and at the top of each of the falls are breathtaking and amazing. You will be glad you did this hike in Yosemite. This hike is about 9 miles round trip and with an elevation gain of about 2900 feet if you make it all the way to Yosemite Point. This is a day hike that can take you up to 10 hours depending on your pace of course. It is a full workout going upstairs and will challenge you physically and mentally. Like most hikes that include waterfalls in Yosemite springtime is the best time. 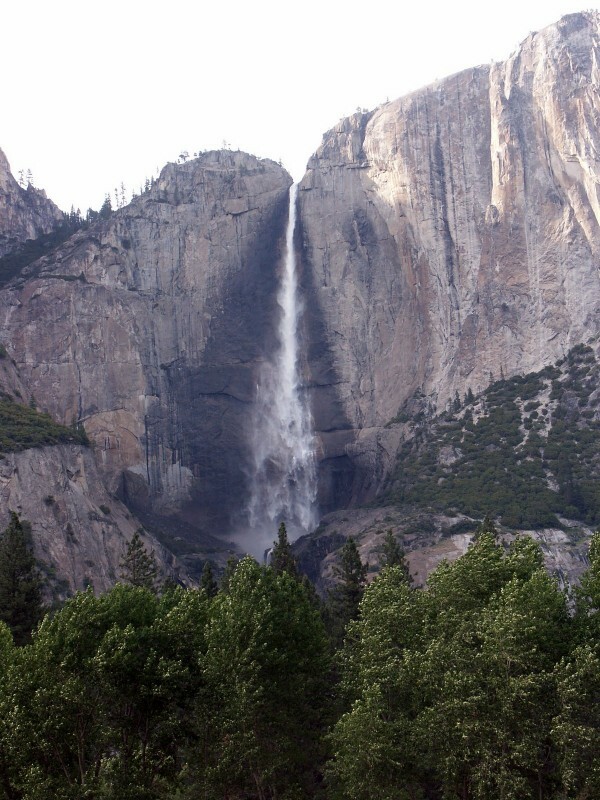 If you want to see a Yosemite Falls webcam that is live daily provided by Yosemite Conserancy. All 4 of these hikes are challenging and rewarding. They will stretch your limits physically. But they will give you the chance to see some of the most beautiful sites in the whole world! The waterfalls are a great and wonderful attraction in the Yosemite Valley. The Merced river when it is full of melting snow. What a grand impression as it flows through the valley and then down the hill. In the spring time, the valley meadow is gorgeous . The grasses are tall and very green. The grass is so tall, it is easy to overlook a deer laying down in the grass. In the late afternoon they are easy to find as they feed in the lush meadow. If you are looking for a very easy hike, the Mirror lake trail is the one. From bus stop #17, it is about a 2 mile round trip hike. The lake is brimming full and wonderful. While the water is ice cold, it looks very tempting to jump in. I am always so surprised how many folks I talk to in the Merced area who have never made the trip to Yosemite. If this is you....or if it has been a while....Spring time in Yosemite is the best! You will enjoy Yosemite in the spring time because it is one of the most beautiful places on earth!